Milk fiber – eco or not? Lately on the media there were a lot of articles telling how eco friendly and “good” for human skin Milk Fiber fashion is. Reading these articles it really looked like one could simply skim some milk, dehydrate it and spin it into a thread. Trying to look a bit more deeply in how manufactures and producers describe Milk Fiber there is not much more. 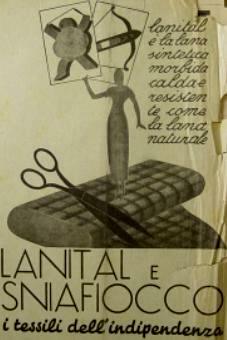 Except some clues concerning technological processes or copolymerization, the process described is very similar to the well documented production of the 1930’s Milk Fiber (invented by Italian inventor Ferretti and commercialized as Lanital), clearly involving heavy chemicals including Formaldehyde. All today’s producers do describe Milk Fiber as environmental friendly and even good for human skin. At the same time none describes how really Casein Protein – a waste product in cheese making – becomes a yarn. Of course this is Exchanging Fire opinion and it sounds well explained, but as long as the producers will not give proves that their processes use are not similar to rayon/viscose, perplexities about Milk Fiber being eco-friendly will remain. This story sounds too similar to what happened to Bamboo Fiber a couple of years ago. Now is clear that most of Bamboo Fiber out there is actually a Viscose, when will this be clear also for Milk Fiber?